Eduardo has been performing since he was 6 years old, in his hometown in Illinois. His favorite roles include Tevye in Fiddler on the Roof, Tom Buchanan in Great Gatsby, Rooster Hannigan in Annie, and Snoopy in You’re A Good Man, Charlie Brown! Recent credits include touring with Oregon Children’s Theatre in their educational theatre program throughout Oregon, as well as Washington. As a bilingual/latinx actor, he hopes to inspire people from different races to explore and do whatever they set their mind to. Marissa is originally from the small agricultural town of Watsonville in California. She graduated from Humboldt State University with a BA in Theatre. Her most recent work has been stage managing for Milagro’s Christmas show, A Xmas Cuento Remix and playing various roles in Milagro’s touring production of Bi-. At HSU, she played Ana in their production of Real Women Have Curves, and was in Hermanas Unidas production of Latinologues. She was also Scenic Designer for Lime Production’s Doubt & Gruesome Playground Injuries. She interned for the Arcata Playhouse Round Story Project bringing multi-generational members of Humboldt’s community and the student body together to address racial equity and justice through theatre. 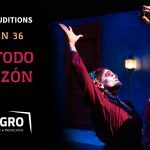 Ajai Terrazas Tripathi, Milagro’s Education Director is a graduate of Oregon State University in Theatre Arts where he directed Doric Wilson’s Street Theater and Rhinoceros. He also directed and produced two original plays The Death Rattle, and The Anti-Bullying Project. As a resident playwright, he has written the touring shows for young audiences: Sueños de Fútbol, Mijita Fridita, and ¡Corre! ¡Corre!, and he has performed in Duende de Lorca, B’aktun 13, Frida, Un Retablo, Cuéntame Coyote, Searching for Aztlán, Broken Promises, El Payaso, and Bi-. Gabriela was born and raised in East Los Angeles, California. A LatinX professional trained in performing arts and early career in Business Marketing has led her through numerous artistic roles: Choreographer/Stage Director, Director/ Producer, Arts Educator, Actress, Arts Marketing/ Public Relations, Dance and Fitness Teacher. Her creative influence in choreography is credited to her training in Los Angeles and Portland that established her career in teaching and performing in US universities, various dance studios on the West Coast and abroad, performing in corporate organizations, media, and commercial videos. 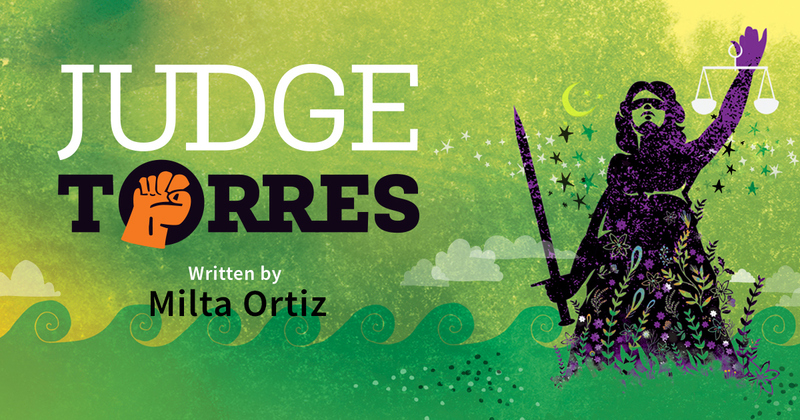 Her projects with Milagro have been ongoing and creatively inspiring, from the start of Voz Alta in 2009 to the upcoming production of Judge Torrespremiere in January 2019. Carrie Anne is an award winning costume designer and performer in Portland, OR. She received her BFA: Acting in Los Angeles, minoring in Stage Combat and Dance. Favorite stage credits include The Laramie Project and Balm in Gilead (LA), El Muerto Vagabundo and Alebrijes (PDX) Film credits include Andrew Jackson: A History Channel Special Puppetry credits include three national tours with Tears of Joy Theatre, Malika Queen of the Cats, Raven Stories and When Animals Were People. Costume and Makeup design credits in LA include Seussical the Musical and Pippin in Portland; Post5’s Desdemona, Stupid Kids, Richard III, ETP’s A Midsummer Night’s Dream, Defunkt’s On the Edge, Fox & Beggar’s Angamazad, Milagro’s Exodo & Judge Torres, CC’s Fiddler on the Roof, 1984, A Midsummer Night’s Dream, Cabaret which she also Choreographed, Crave’s Crossing and PAE’s Romeo & Juliet. Her work on Desdemona earned her Broadway World’s “Best Costume Design in Portland” award. This is her third show designing for Milagro. She is thrilled to be a part of this community. Lawrence is a performer, director, sound designer, projection designer and music composer from San Diego where he pursued a Bachelors in the Dramatic Arts with a directing emphasis at San Diego State University. He has composed original music for three Milagro national touring shows—El Tesoro, ¡Super Ana! and ¡Corre Corre!—as well as sound designs for such shows as Astucias (dir. Robi Arce), Bi– (dir. Georgina Escobar), and Searching for Aztlan (dir. Lakin Valdez). He will be designing sound for the upcoming play Wolf at the Door (dir. Rebecca Martinez) at Milagro Theatre. Sarah holds a BFA in Acting from Central Washington University. Directing credits include Heart Play (Beady Little Eyes), Crossing, Thom Pain (based on nothing) (Crave Theatre), Corre Corre (Teatro Milagro), and the world premiere of From the Ruby Lounge (Steep and Thorny Way to Heaven). She wrote, produced, and directed two puppetry productions: an original adaptation of Life is a Dream, and Pearl and the Five-Headed Dragon. Sarah is a theatre artist who puts her soul into her work and looks forward to exploring the creative possibilities the future has in store. Erin is a recent graduate from Whitman College with a B. A. in Theatre and Classical Studies. In addition to stage management, she loves costume designing and directing. In the past year, she has costume designed Care of Trees (Enso Theatre Ensemble), designed and stage managed for 4.48 Psychosis (Red Balloon Collective), ASMed on Judy Moody (Oregon Children’s Theatre), stage managed with Original Practice Shakespeare Festival, and assistant directed Revolt. She Said. Revolt Again (Third Rail).